In 1902, Andrew Carnegie founded the Carnegie Institution of Washington, to support innovative science research. Since its creation two years later, the Department of Terrestrial Magnetism has undertaken a broad range of research from terrestrial magnetism, ionospheric physics and geochemistry to biophysics, radio astronomy and planetary science. 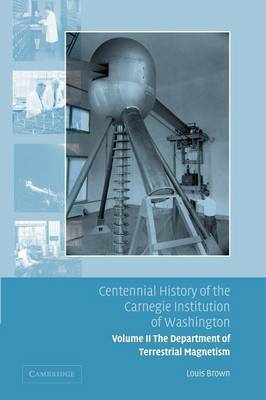 This second volume in a series of five histories of the Carnegie Institution describes the people and events, the challenges and successes that the Department has witnessed over the last century. Contemporary photographs illustrate some of the remarkable expeditions and instruments developed in pursuit of scientific understanding, from sailing ships to nuclear particle accelerators and radio telescopes to mass spectrometers. These photographs show an evolution of scientific progress through the century, often done under trying, even exciting circumstances.